Comfortably carry a variety of gear and accessories with the large, black ICS Photo Gear Vest from Vanguard. 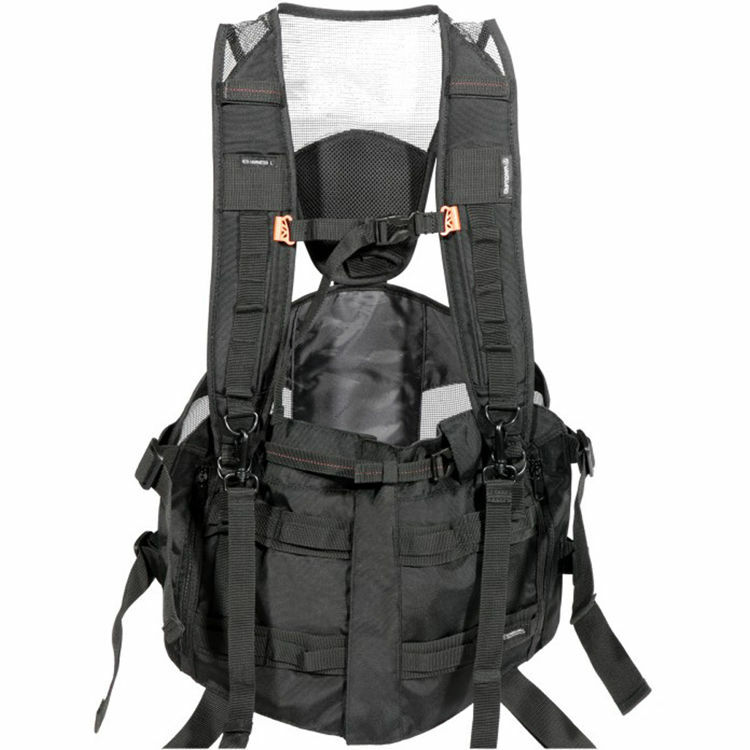 This vest features multiple pockets and equipment attachment points. Photographers will appreciate the hook-and-loop straps on both shoulders, adjustable shoulder straps with connector, and the ability to secure a camera strap to the harness. For comfort, mesh fabric on the back of the vest provides welcome ventilation. Polyester 1000D and 150D construction ensures strength and durability. A rain cover is included. Box Dimensions (LxWxH) 17.0 x 7.4 x 3.4"
ICS Photo Gear Vest (Large, Black) is rated 1.0 out of 5 by 1.